Female infanticide still persists in many places. It is said that god created mothers because he could not be present everywhere. It is unbelievable to realize that a gods representative is continuously killing someone beautiful even before she can come out and see this world. The country has witnessed advancement in all fields but has it given equal opportunities to the boys and girls? 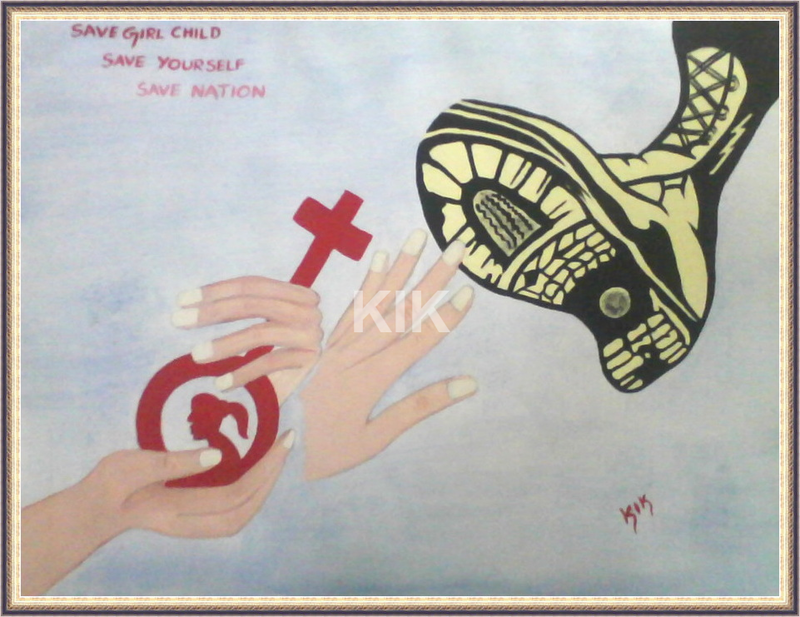 This painting of mine shows, save the girl from those olden thoughts.